Former world no. 1 Tiger Woods has played in the United Arab Emirates but all of them were in Dubai’s Desert Classic where he was a mainstay. But this time, he left the Dubai’s showcase tournament and opt to make his debut in Abu Dhabi, his first golf tour championship appearance in the United Arab Emirates. 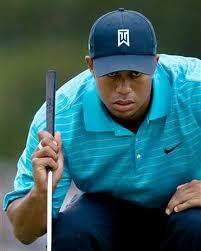 In Dubai, Woods has won the Dubai Desert Classic Championship twice, the first was in 2006 and the second in 2008.. The 14-time major champion chooses to play in Abu Dhabi because there are considerably more ranking points on offer and there is also the added incentive of an appearance fee reported to be well into seven figures. Woods’ ranking had made an improvement from no. 51 to no. 25 following his World Challenge victory at the Sherwood Country Club in Thousand Oaks, California, in December of last year when he birdied the final two holes to beat Zach Johnson by one stroke. Woods is seen as a coup for Abu Dhabi in its rivalry with the Dubai Desert Classic, where Woods has been a regular participant for years. Tournament manager Faisal al-Sheikh said that the ‘giants of golf’ are coming to Abu Dhabi. Among those who will bee seen participating in the tournament are Luke Donald, Lee Westwood, Rory McIlroy and Martin Kaymer. The four-time Masters champion Woods has confirmed that he will make his first start on the PGA Tour at the AT&T Pebble Beach National Pro-Am from 9-12 February.